This Loaded Blueberry Muffin recipe says it all. It isn’t overly sweet and is definitely all about the berries. It’s perfect for breakfast, snack or with any meal when you’d like a slightly sweet addition. I’m so excited you guys! I’ve joined a group of bloggers that do a secret blog hop, Freaky Friday! 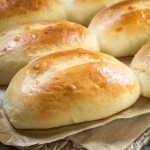 Participates are given a blog where they secretly choose a recipe and make it. No one knows who had our blog and what recipe they picked until they’re posted. This Loaded Blueberry Muffin Recipe was amazing. Now, let me tell you a little bit more about it. I was given the blog Cooking On A Budget by Patty Anderson. I was really excited because I’ve followed Patty for quite a while. She has a Facebook group that I am a member of and is always so sweet. It was important for me to do one of her recipes justice. Patty’s blog shows people how they can prepare delicious recipes at home on a budget. Her recipes include family recipes and recipes that inspire her. I spent a lot of time deciding what to make. Other serious qualifiers were her Baked Taco Dip, Baked Shrimp Imperial, and Chicken Paprikash, to name just a few. There were so many on my list! Finally, I chose Patty’s Blueberry muffin recipe. I actually renamed it “Loaded Blueberry Muffin recipe” because in my humble opinion that is a great description of it. That’s the only change I made. It is perfect as is. I picked it because it had a family connection that she explains. That describes a lot of my recipes too. I think you’ll love this recipe and several of the other recipes on her site. This Loaded Blueberry Muffin recipe says it all. It isn't overly sweet and is definitely all about the berries. It's perfect for breakfast, snack or with any meal when you'd like a slightly sweet addition. Preheat your oven to 375°F and fill 17 to 18 muffin cups with paper liners or grease well. In a medium-sized bowl combine flour, baking powder, and salt. Whisk to combine. In the bowl of an electric mixer, cream softened butter and 1 cup of sugar together on medium speed until light and fluffy. Combine the milk and vanilla. Add the flour mixture and the milk mixture to the butter mixture alternating after each addition. Crush 1/2 cup of blueberries with a fork or potato masher. Fold into the batter. Fold the remaining blueberries whole into the batter. Fill muffin cups 2/3 full. Bake 20 to 30 minutes. Muffins are done when a toothpick comes out clean. Sprinkle the tops with sugar while warm if desired. 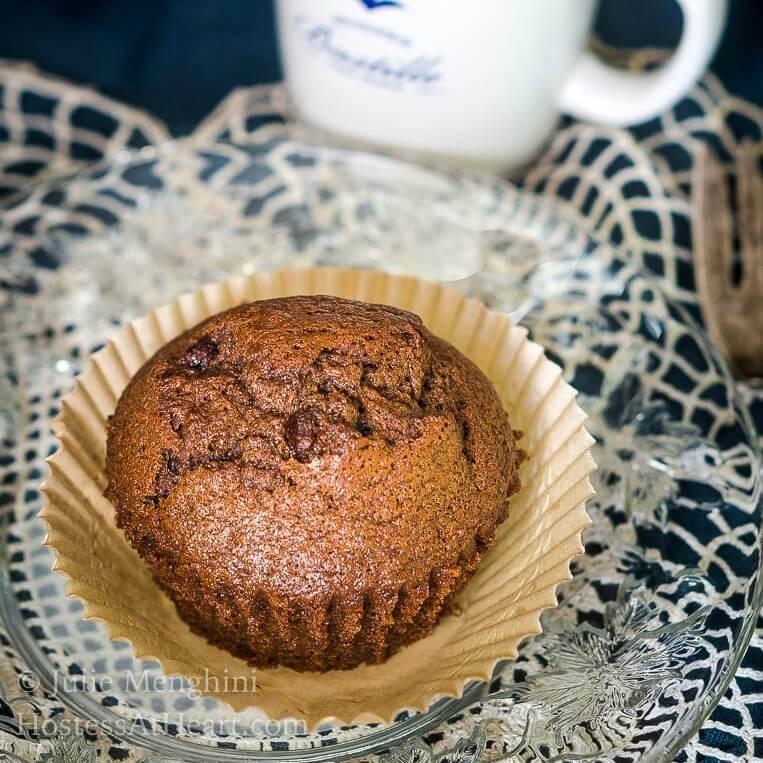 This recipe is from "Cooking On a Budget"
We sure loved these muffins and if you love muffins like we love muffins, here are a few more that we enjoy. Thank you so much Karly! They made a great breakfast and something to go with my buuuttterrrr! Thanks for stopping over! 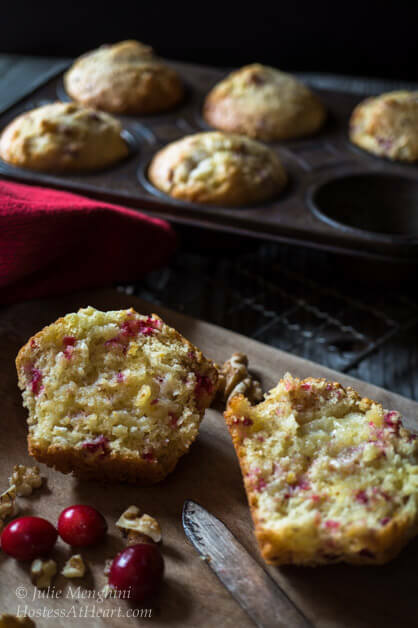 Blueberries is one of my favorite fruits, so I’m completely drooling over these muffins. These are so packed with berries that you don’t need anything with them. Can’t wait to make a batch! Thank you so much Sandra! I think muffins are my favorite place for blueberries! I hope you enjoy them as much as we did. I love the idea of a secret blog hop – all very secret society! And these muffins look to die for, I adore blueberries and they’re a perfect way to start the day! Thank you so much Claire! It was my first secret blog hop and tons of fun. Those muffins were delicious and made me wonder why I didn’t use more berries in mine? Thanks for stopping by and I hope you have an amazing day! We love blueberry muffins. These look like the best ones ever! Thank you so much! We really loved this recipe too. Simple and delicious! These muffins look amazing!! And loaded is definitely right!! Love how packed full of blueberries they are! Thank you so much Nicole! 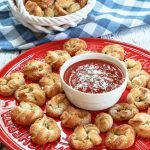 I’ve just had so much fun with this blog hop and the recipes have all been amazing! Wow, these really are loaded with blueberries–they look so good! Thank you so much Nancy! They were really yummy with all of these berries. 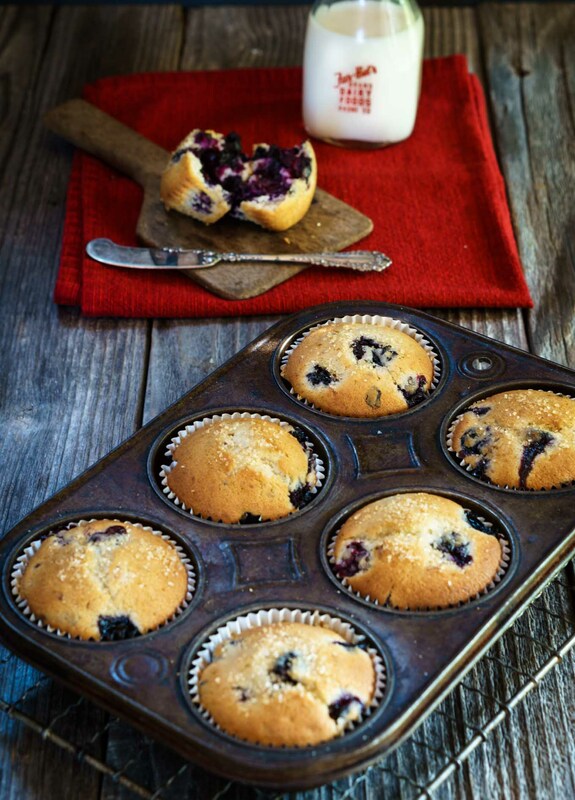 These look like the muffins of my dreams…loaded up with blueberries! Great job! Thank you Lori! I loved this recipe too. When I first looked at your pictures I thought you squeezed 2-1/2 cups blueberries in a 6 well muffin tin! Then I went back and looked at the quantity – 18 – whew! No doubt with every bite you would taste some yummy blueberries. Thanks for coming to the party Julie and sharing with Fiesta Friday. They are definitely all about the blueberries. Thank you so much for hosting FF this week Judi! You weren’t kiddng when you said loaded. 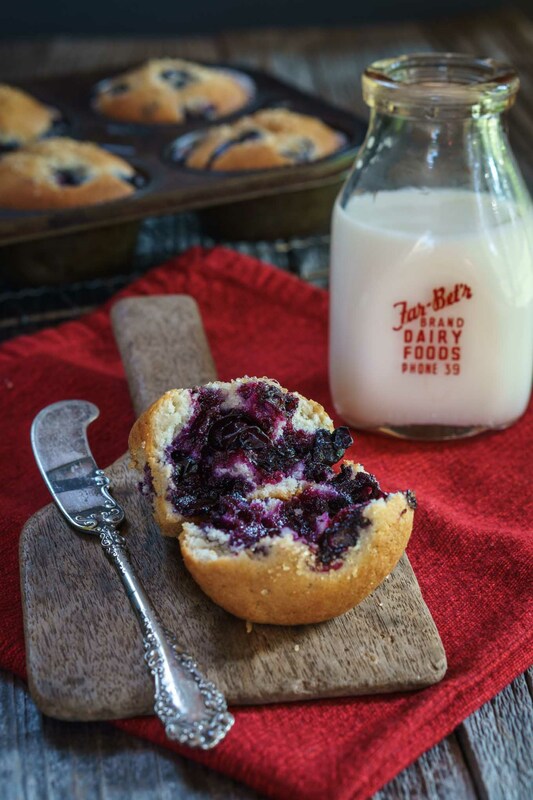 These muffins look so soft and full of blueberry goodness – yum! Thank you Lily! These muffins are my new favorite blueberry! What a gorgeous looking loaded blueberry muffin! Love anything with blueberries in them, and your recipe certainly did it justice. Gosh, I admire your gusto in the blogging world. Yeah you! I can hardly keep up with mine, but try to make the time whenever I can. Your group sounds like a lot of fun! Enjoy your trip, love the photos, such stunning scenery. I’ve yet to visit Colorado. Thank you Loretta! We’ve had the best time in Colorado. Cool and beautiful. It is hard to keep up with all the blogging stuff but I am really looking forward to getting back into the kitchen. I think you do an amazing job. I often feel there isn’t enough time to visit with my blogging buddies. These look super jam packed with delicious blueberries! Yum! Thank you Christie! They are a new favorite of ours! WOW!! No joke these are seriously loaded!!! 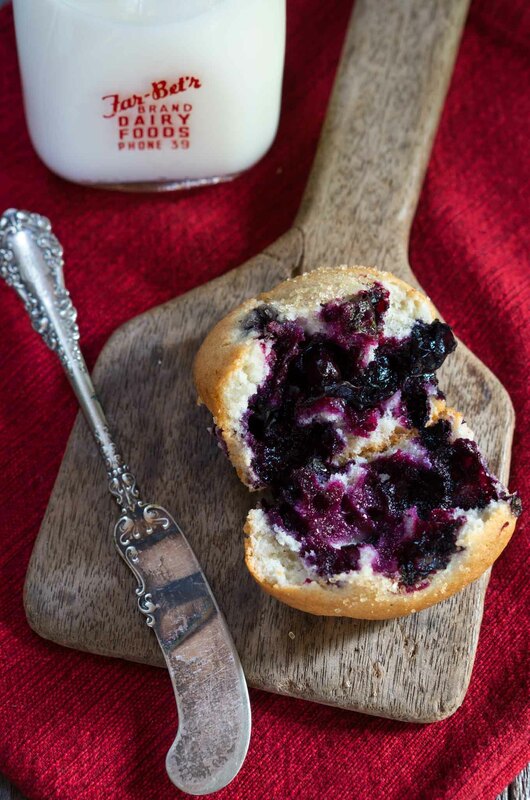 I’ve got tons of blueberries on hand so yea Im making these for the boys for an easy breakfast! Thank you Angela! We really loved Patty’s recipe. I’m sure your boys will love them too! Thank you so much Marisa! They really were delicious. I’ve got to make some more! What a fun group of bloggers! Those muffins look incredible! I always find there’s not enough blueberries, but not in this case. YUM! Thank you, Sarah! They were seriously delicious. I don’t know why I’ve never loaded up my muffins more. Oh my, these muffins look AMAZING. I love that the blueberries are practically making them fall apart. Makes me want to slather these with butter and throw down lol. Great job Julie! Thank you so much, Jess! These muffins were so good heated just a bit with a slather of butter. I love all of Patty’s recipes too! My kids are suckers for blueberry muffins so I will have to try this one. It must have slipped through my fingers before! Thank you! I had such a hard time picking the right recipe. I swear there were so many contenders! When I first saw your photo of the cross sectioned muffin with all of those gorgeously bright, delectable blueberries, an involuntary mummm escaped my voice box. Beautiful job! I can almost taste them now. Thank you so much, Dan! When I cracked that baby open I think I had the same response. I know it didn’t make the picture because I seriously taste tested it. I like Patty’s blog too, and I made her Chicken Paprikash for another Freaky Friday! It was delicious! These muffins look amazing too! That was one of my choices too Michelle. I’ll definitely have to make it too. Thank you for stopping by! So pretty! We love blueberry muffins. I can’t wait to bake these up! Thank you Candi! We loved this recipe. Julie – I am so happy to have you as a part of our group! 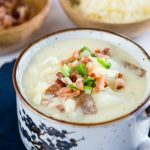 Your recipe is just perfect, and your photos are stunning as always! Great choice! Thank you Michaela! 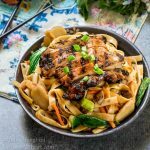 I’ve had so much fun reading through these amazing recipes and visiting with the great bloggers that I’ve met. This is really a loaded blueberry muffin Julie! Thank you Sonal! I don’t know why I’ve never thought to add more berries to our muffins. It’s an oversight I won’t repeat. I had so much fun with this group too. 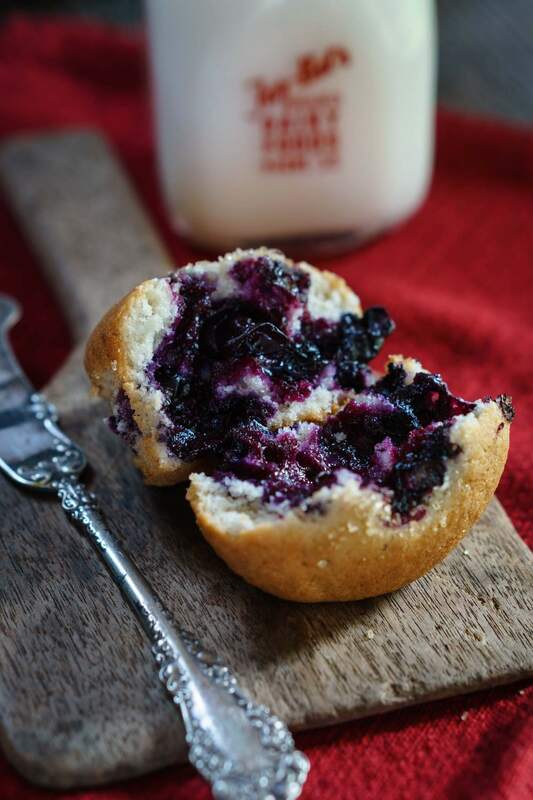 Julie, you did these loaded blueberry muffins proud – they look amazing! I am thrilled to pieces that you chose this family recipe to use in today’s FreakyFridayRecipes. Thanks so much for your kind and sweet words about me, my blog and my recipes. Patty, your comment wandered into my spam folder darn it! Thank you so much for your sweet comments. I love family recipes. They are still around for a reason! John and I have a new favorite blueberry muffin recipe! I’m so happy that you shared it! That is strange to land in spam folder. Glad you saw it. I think Michaela was calling me out today, but I knew I commented on everyone’s blog.